Many cultures have told stories about the discipline it takes to create a life of happiness. We all struggle with stress and pessimism. We consider happiness like any other emotion, something that comes and goes based on outside circumstances. Go with the flow -- if happiness comes it comes, it it doesn't it doesn't, that happiness is an emotional reaction to the world around us. If we listen carefully to the messages of the old stories, they share this cross-cultural message that happiness is not a reaction but an action, a choice, a skill. Outside circumstances don't dictate it, we decide from within. There are bad things (the world) and our reactions to bad things (the self). It's not easy by any means, but it's a practice that works better the earlier we start. Try today. I often turn to this old Cherokee tale and find it to be more and more truthful as more years pass since it's inception. There once was an old Indian. His little grandson often came in the evenings to sit at his knee and ask the many questions that children ask. One day the grandson came to his grandfather with a look of anger on his face. Grandfather said, "Come, sit, tell me what has happened today." The child sat and leaned his chin on his Grandfather's knee. Looking up into the wrinkled, nut brown face and the kind dark eyes, the child's anger turned to quiet tears. The boy said, "I went to the town today with my father, to trade the furs he has collected over the past several months. I was happy to go, because father said that since I had helped him with the trapping, I could get something for me. Something that I wanted. I was so excited to be in the trading post. I have not been there before. I looked at many things and finally found a metal knife! It was small, but good size for me, so father got it for me." Here the boy laid his head against his grandfather's knee and became silent. The Grandfather, softly placed his hand on the boys raven hair and said, "And then what happened?" Without lifting his head, the boy said, "I went outside to wait for father, and to admire my new knife in the sunlight. Some town boys came by and saw me, they got all around me and starting saying bad things. They called me dirty and stupid and said that I should not have such a fine knife. The largest of these boys, pushed me back and I fell over one of the other boys. I dropped my knife and one of them snatched it up and they all ran away, laughing." Here the boy's anger returned, "I hate them, I hate them all!" The Grandfather, with eyes that had seen too much, lifted his grandson's face so his eyes looked into the boy's. Grandfather said, "Let me tell you a story." "I too, at times, have felt a great hate for those that have taken so much, with no sorrow for what they do. But hate wears you down, and does not hurt your enemy. It is like taking poison and wishing your enemy would die. I have struggled with these feelings many times. It is as if there are two wolves inside me, one is white and one is black. The White Wolf is good and does no harm. He lives in harmony with all around him and does not take offense when no offense was intended. He will only fight when it is right to do so, and in the right way. But the Black Wolf is full of anger. The littlest thing will set him into a fit of temper. He fights everyone, all the time, for no reason. He cannot think because his anger and hate are so great. It is helpless anger, for his anger will change nothing. 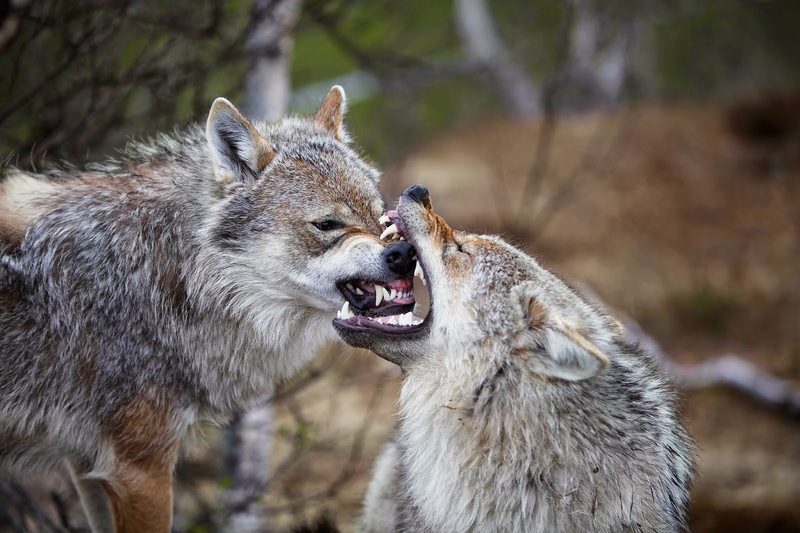 Sometimes it is hard to live with these two wolves inside me, for both of them seek to dominate my spirit." The boy, looked intently into his Grandfather's eyes, and asked, "Which one wins Grandfather?" The Grandfather, smiled and said, "The one I feed." A variation of this story exists in every country. It's about that choice. There's many ways we can be. Which one will you be? Which part of you will you feed?